Download your customizable .odt copy of the Quality of Life Scale. 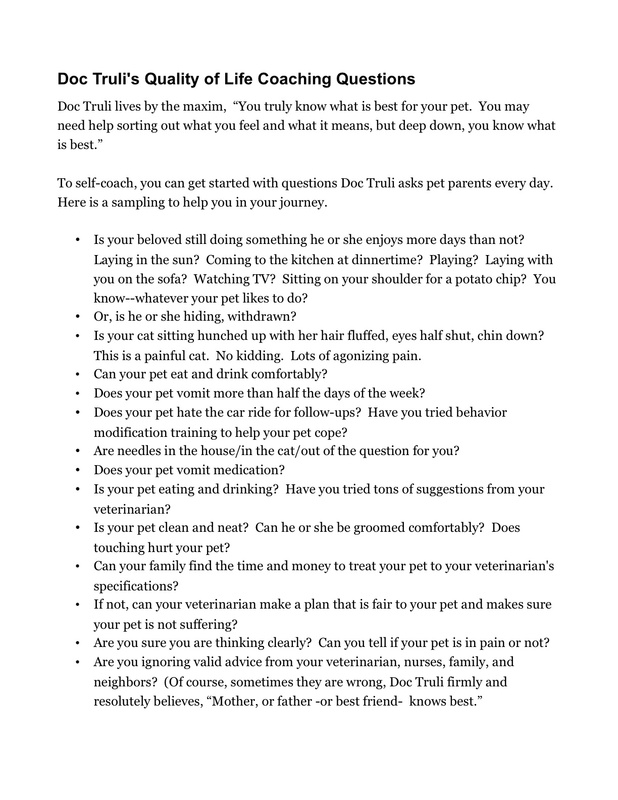 Download .odt Doc Truli’s Quality of Life Self- Coaching Questionnaire. Download pdf VirtuaVet’s Quality of Life Self-Coaching Questionnaire. 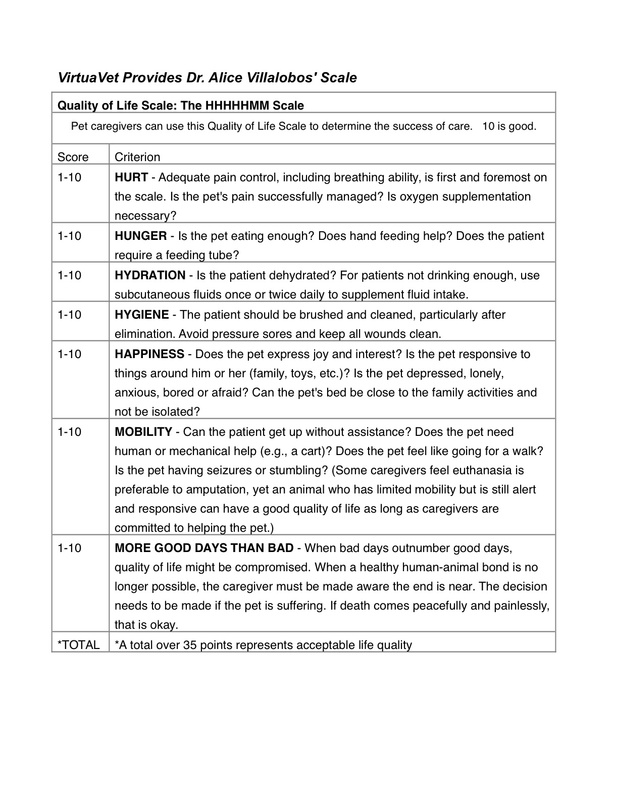 Dr Alice Villalobos, a renowned veterinary oncologist, published a scoring system for life quality called the HHHHHMM Scale. The letters stand for: Hurt, Hunger, Hydration, Hygiene, Happiness, Mobility and More Good Days than Bad. 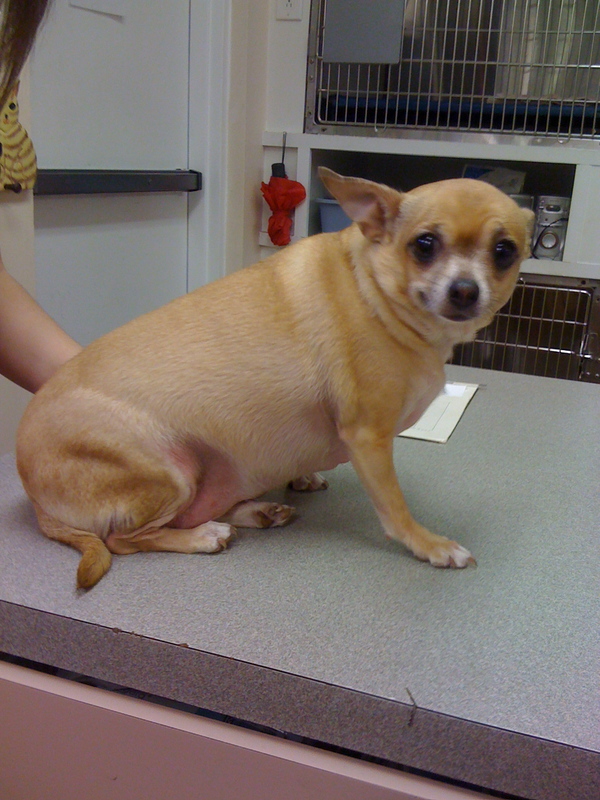 Having a semi-objective scale, and having notes about your wishes and feelings before your pet became ill, can help you clear your heart and your mind when your pet is ill and you are confused or worried you may not be thinking clearly enough to make a proper decision on your pet’s behalf. the success of care. Score patients using a scale of 1 to 10. 1-10 HURT – Adequate pain control, including breathing ability, is first and foremost on the scale. 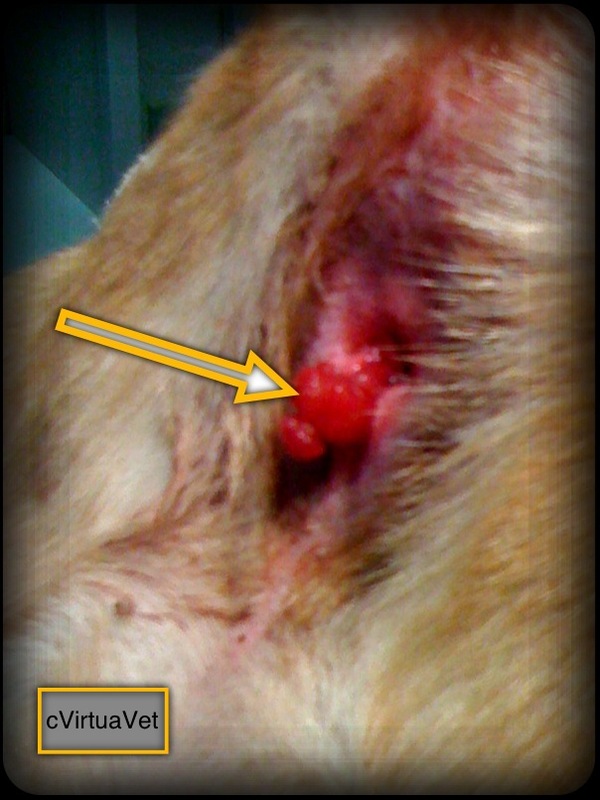 Is the pet’s pain successfully managed? Is oxygen supplementation necessary? 1-10 HUNGER – Is the pet eating enough? Does hand feeding help? 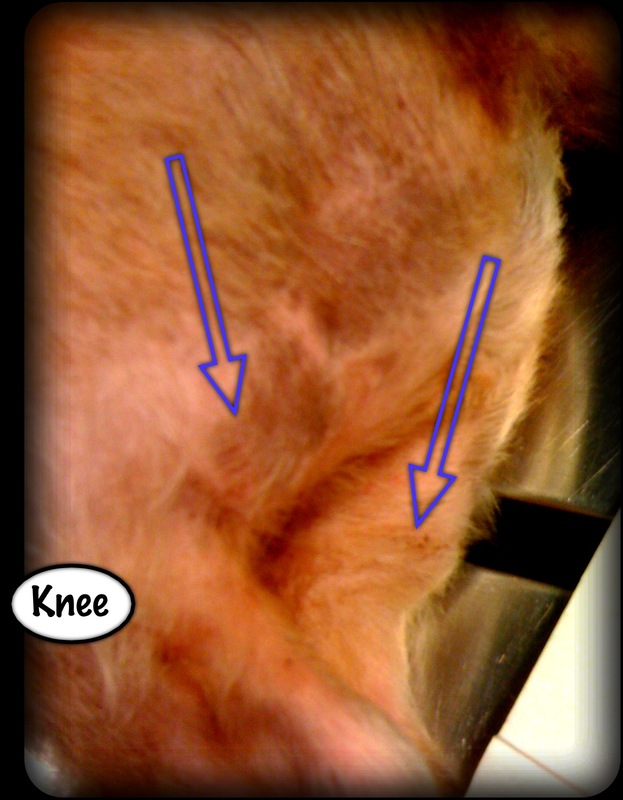 Does the patient require a feeding tube? 1-10 HYDRATION – Is the patient dehydrated? For patients not drinking enough, use subcutaneous fluids once or twice daily to supplement fluid intake. 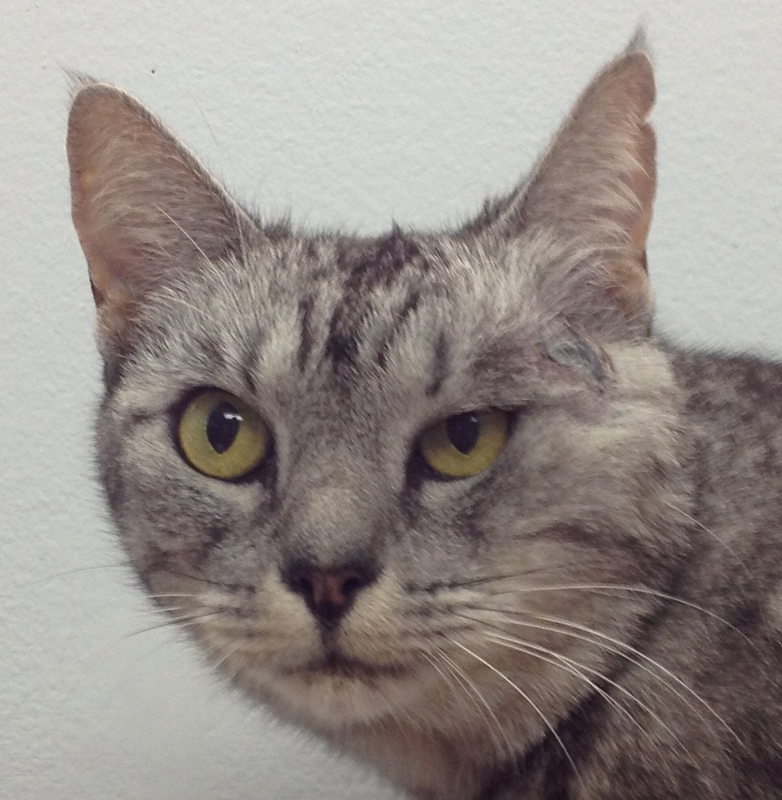 1-10 HYGIENE – The patient should be brushed and cleaned, particularly after elimination. Avoid pressure sores and keep all wounds clean. 1-10 HAPPINESS – Does the pet express joy and interest? Is the pet responsive to things around him or her (family, toys, etc.)? Is the pet depressed, lonely, anxious, bored or afraid? Can the pet’s bed be close to the family activities and not be isolated? 1-10 MORE GOOD DAYS THAN BAD – When bad days outnumber good days, quality of life might be compromised. 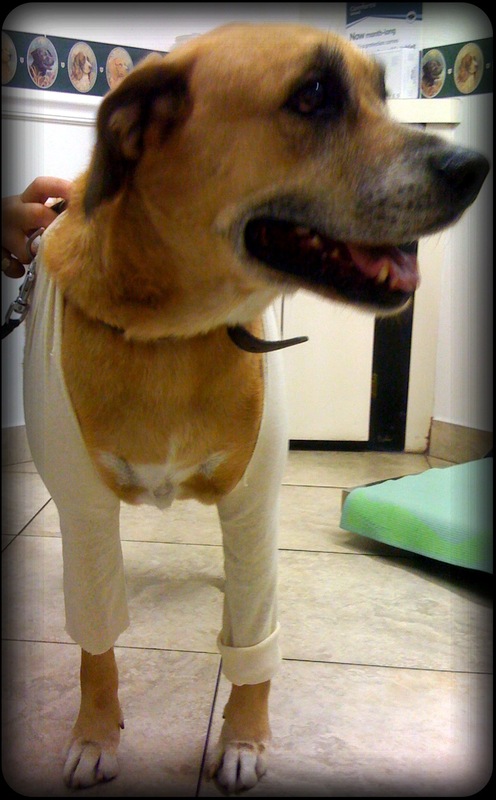 When a healthy human-animal bond is no longer possible, the caregiver must be made aware the end is near. The decision needs to be made if the pet is suffering. If death comes peacefully and painlessly, that is okay. When do you feel is the right time to have a very old and much loved dog put to sleep?